Finding a product to promote your brand brings a slew of new items to think about, and one of the most intriguing may be Custom Bandanas. Figuring out how to maximize your brand exposure, what kind of design to develop, and figuring out what kind of printing method will work best for your art can be daunting. To help you wade easily into the waters, here are two essential things you need to know about Custom Bandana Printing. Bandana printing is divided into 2 major printing methods. Screen Printing is a method of printing by forcing ink through a stencil which is chemically applied to a tight mesh screen. This method requires a screen for each individual color in your design. Screen Printing is great for designs that are relatively low in color count and cost conscious customers. Cotton bandanas work best for this printing method. Dye-Sublimation (without getting too technical) is a method of printing where the design is printed directly onto a special paper which is then applied to the bandana and exposed to high heat in order to transfer the dye into the bandana fabric. This method is great for designs that have a lot of color and photo quality elements. The draw back with Dye-Sublimation is that it is not possible to sublimate onto cotton bandanas, this method only works on polyester bandanas. When screen printing, you must be conscious of set up fees. For each individual color in your artwork, there is a screen made especially for that color. With each screen comes a $45 set up (Unless your order quantity is over 500 units.) Also, with each color in your design your price per piece goes up. Don’t worry, there is an alternative! If your design has a lot of colors or has photo-realistic elements to it, you might want to consider dye-sublimation printing. You are now ready to place a custom bandana order! Click here to start your order! 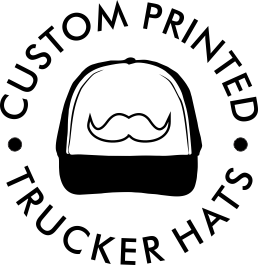 You could say that custom trucker hats are a new and modern promotional give away, but really this casual promotional headwear item stems back from the 70’s. Originally referred to as feed caps or gimme caps, farming supply companies printed their corporate logo on low cost mesh back caps. Truck drivers would be given these hats as freebies while delivering supplies, purchasing supplies or just stopping by 7Elevens. The Trucker caps were worn by most drivers due to their one-size fits all adjustable snap closure, breathable nylon mesh back, sweatband and printed foam front. 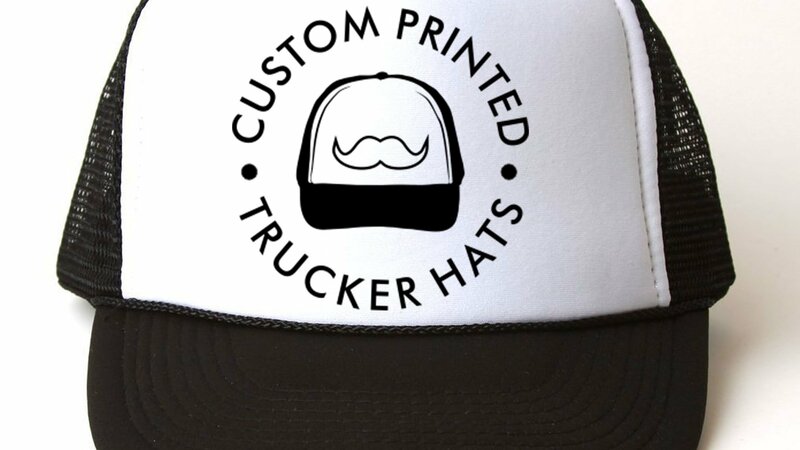 The name Trucker Hat was a huge success because the marketing strategy of the supply companies attracted the right customer to advertise their business logo and found a niche market that years later would become a fashion phenomenon. Fast-forward to the year 2000 when key celebrities sported custom designed hats as a stylish throwback that made Trucker Hats cool to the masses. 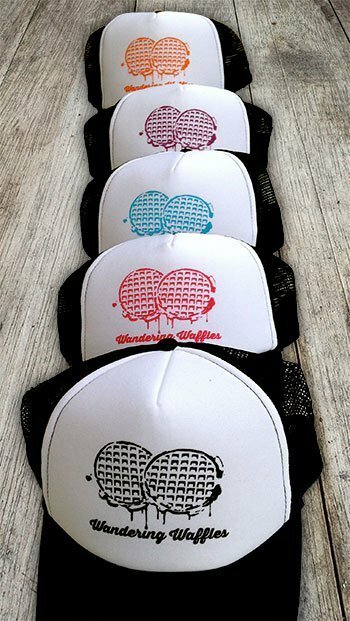 This opened up the opportunity for unique branded headwear to make a splash in the promotional merchandise market. Not only did the hip casual customizable hat look good on everyone, it came at a low cost. To this day, worldwide companies, like John Deere, will choose to print thousands of hats over t-shirt because the cost is significantly less. A customizable trucker hat is traditionally 2 toned, 5 panel mesh hat. Four of the five panels are nylon mesh and match the bill color of the hat. The last panel is usually a white foam material that is big and tall. Why is big and tall important… there is sufficient space for a bright logo imprint! Baseball caps traditionally are embroidered, but Trucker Hats are either screen-printed or has a sew-on patch. Printing allows the cost to stay affordable. Its popular fashion statement allows you to advertise a business, captures an audience that will sport your promotional head apparel, and be that free gift that a potential customer appeals to. Tradeshow promotional products – the Trucker Hat is the best advertising giveaway product on the market! Promotional Trucker Hats are worn and not compartmentalized in a house, stuffed in a drawer or thrown in a trash. If you think about it, someone is more likely to donate the hat to the local thrift store and it will continue to be circulated. Including Trucker Hats as a part of your business promotional campaign is a budget conscious merchandise option. Because a trade show’s success or failure hinges on getting the right people to stop, Trucker Hats will be the tradeshow giveaway that potential customers will want! Alternative ventures with Trucker Hats– these stylish caps are versatile to no end. Therefor they aren’t only for a business market, they are for anyone and everyone! Free gift- birthday parting gift, annual BBQ gift, etc. Trucker Hats are that long lasting promotional product that will continue to be valuable to all businesses, event committees, sports teams, celebrations, fashion statements, tradeshows, work wear uniforms, and more. 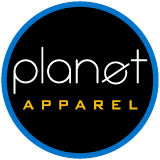 Call Planet Apparel today, as we know how to make this promotional item a huge hit!